‘The Return’ is a story about a criminal who is caught on the wrong side of a lie. The film explores events leading up to his arrest and the revelation of a catastrophic secret. 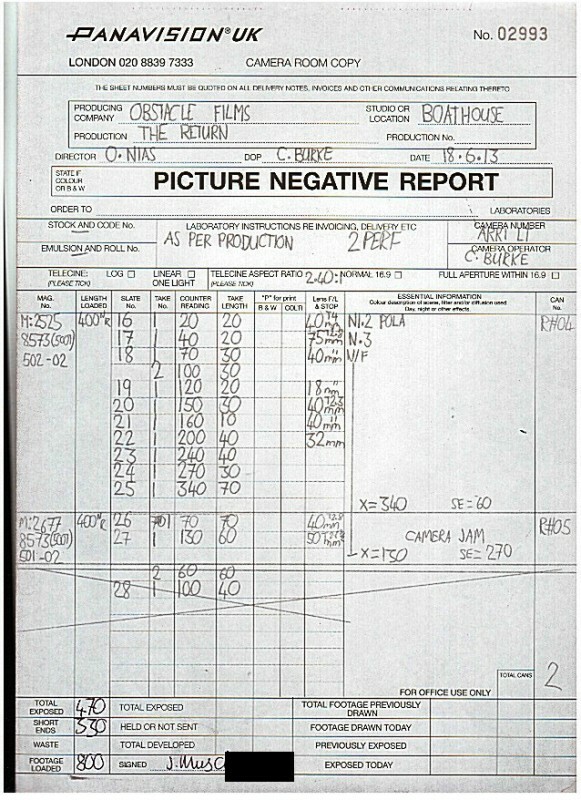 ‘The Return’ was shot on a shoestring budget with a small and dedicated crew & cast. Tight budget, tight spaces. 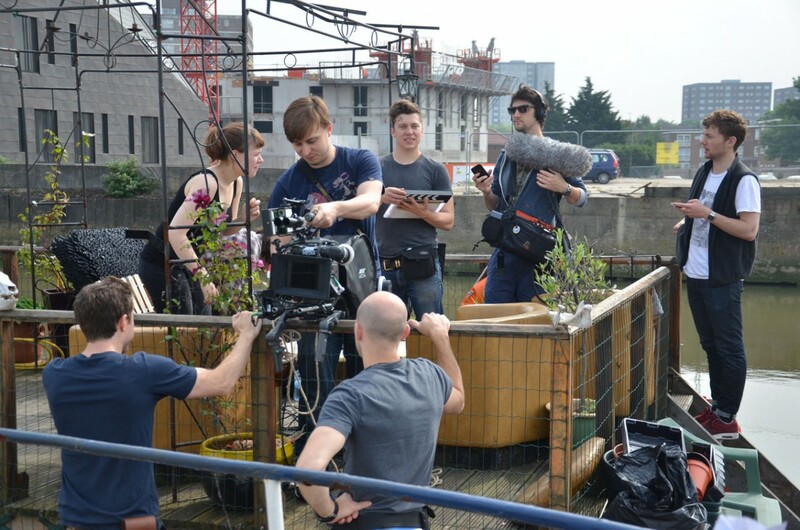 To see what life was like on location check out our Weekly Picture Diary. 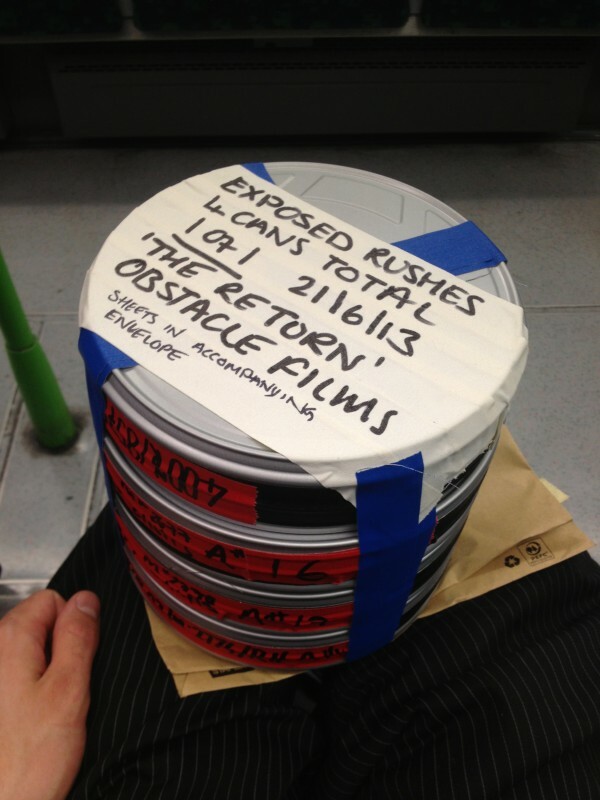 Director Oliver Nias was 26 when he shot ‘The Return’. “No one was going to produce the script of someone like me so we just ordered the film stock and three months later we were done”. Vital to the look and feel of a crime story in the Film Noir tradition. It also saved time because no walls needed to be painted and sets needed less dressing. ‘The Return’ unfolds at street-level in London. It filmed 9 locations in 20 days. The snooker hall scenes were shot in east London. The restaurant and bar scenes were all south of the Thames. 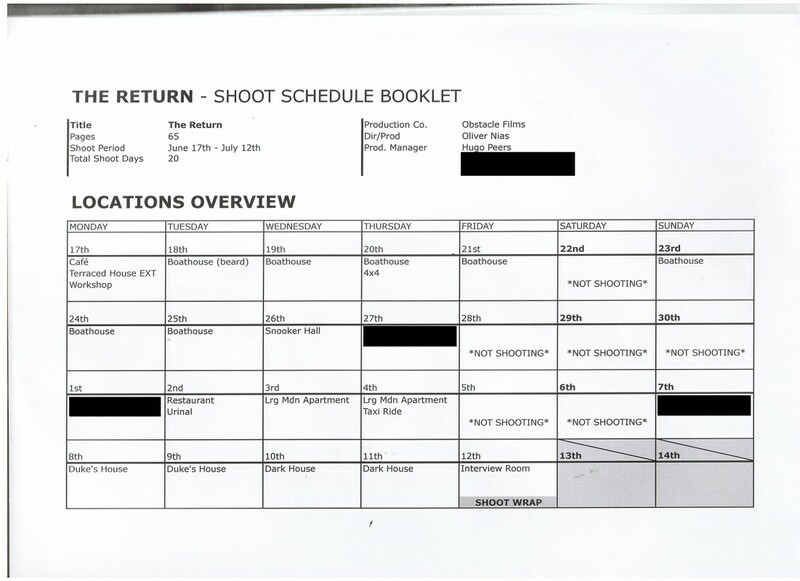 ‘The Return’ finished in under 4 weeks and didn’t shoot pick ups. The interview scene was left to the last day so that actor Sam Donnelly and interviewer David Sargent were talking about events that had actually already taken place. NB. blocked out sections are to avoid any spoilers! What you see is what we got. 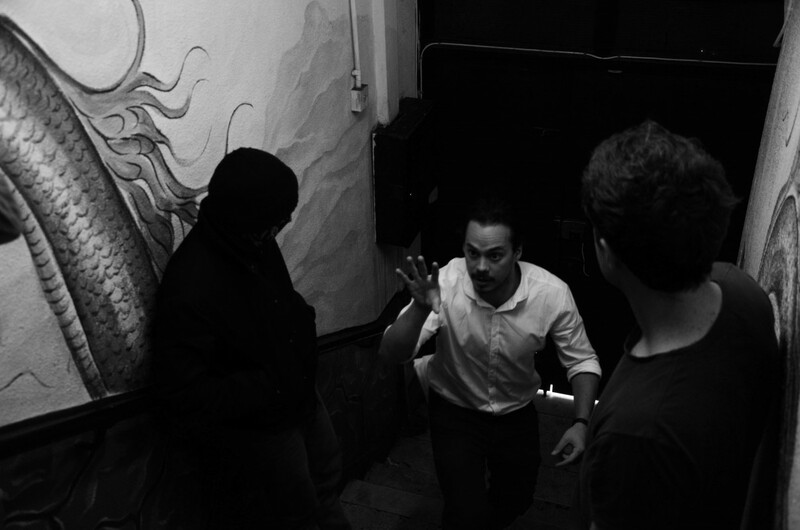 Time and money was tight so shoot days had to be based around rehearsal and planning. The result was that what you see in ‘The Return’ was often the only take we did. Just thought you might like to know. These frames comprise the film’s artwork. …is revealed if you watch all the way until the final frame.  Come get involved at Raindance Film Festival where ‘The Return’ has a Best UK Feature nomination. Screenings are on 27/9 and 3/10. Buy a ticket HERE if you love mystery.